An Amur tiger lies down to relax in the Big Cat Crossing, a mesh-engineered passageway that crosses over the main visitors' path inside the Philadelphia Zoo in Philadelphia on Wednesday. 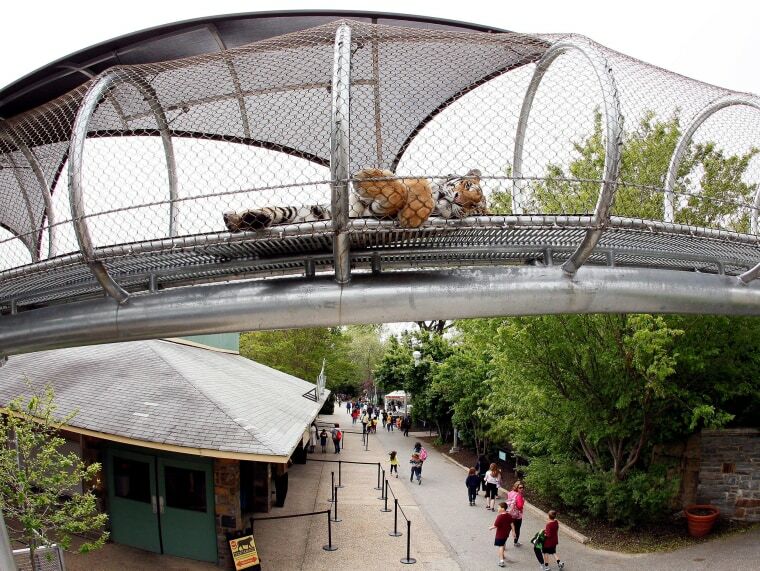 The 330-foot long passageway is an extension of the zoo's unique Zoo360 animal travel and exploration system, according to the Philadelphia Zoo. The new trail will be used by tigers, lions, pumas and snow leopards among other big cat species.